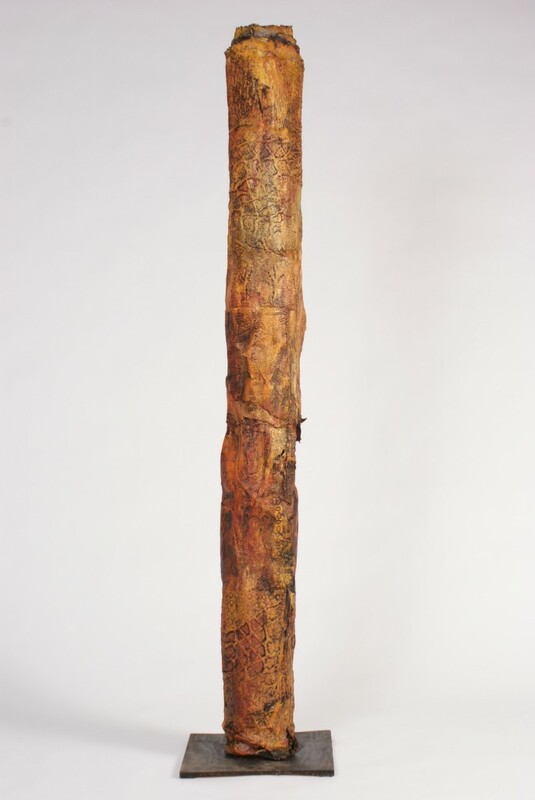 Handmade paper with embedded studio drawings, paintings and paper experiments wrapped around a wooden dowel with chicken wire for internal support. The exterior has handmade paper reliefs of collected textures; tree bark, tire tracks, manhole covers, crow’s feet and is painted with acrylic, oil stick and pigments. The scroll is attached to a wood stand, painted black and is signed on the reverse side.